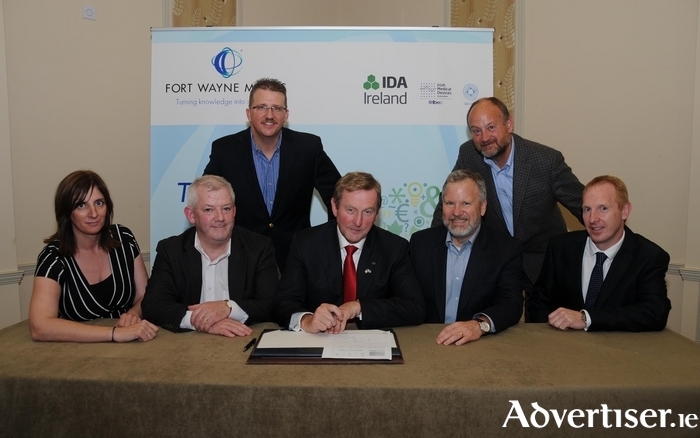 Fort Wayne Metals Ireland has announced the expansion of its production operations in Castlebar, an investment of €10 million with the addition of 20,000 sq. ft of production floor space in the next year. As a result, they plan to create 40 additional jobs over five years. Chairman and CEO Scott Glaze applauded the success and commitment of his team in Castlebar and reiterated the company’s commitment to Ireland. “We are very proud of the achievements and the commitment of our people here. Our people are our strength and this is what gives me great confidence in this investment.” He acknowledged the strong work ethic, the availability of highly skilled staff and the support and guidance given by IDA Ireland and the Irish Medical Device Association (IMDA ) as key factors in making the decision.